Meet Ashton! She is a teammate on our women’s buying team and works with brands like Corral, Not Rated, and Miss Me. As you can tell from her desk, she is usually submersed in leather samples and boots. Today, she’s going to be taking us through the steps of properly trying on and fitting into a new boot. Determine your foot size. 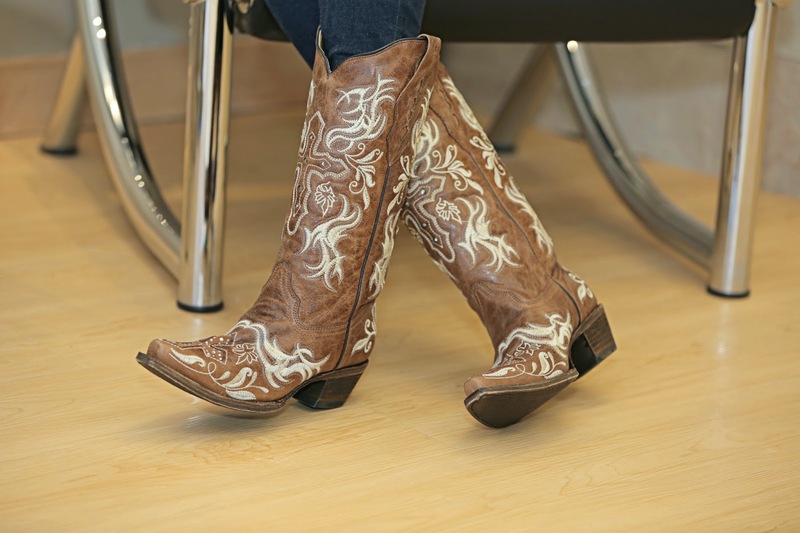 Most people have one foot that is slightly longer than the other, so ask to try on a boot that is the size of the longer foot. You can always go down a size if the boot seems too large. What kind of socks do you wear? The thickness of your socks can affect the size of your boots. When trying on new boots, use the same style of socks that you would wear on a daily basis. This will give you a more accurate fitting. Step 1: Take a seat on a bench or chair. It’s important to take your time. Make sure you’re not in a rush and have plenty of time to try on different styles, fits, and looks. Step 2: Angle your foot downward into the shaft of the boot. Point your toes, and dive in! Step 3: Grab the pull straps on each side of the boot and pull until you feel a slight resistance and your foot reaches the heel/counter. Then, stand up and step down into the boot allowing your foot to completely enter the boot. Essentially, you want to stand into the boot. Listen for a “pop” sound right when your heel slides into place – the sign of a proper fit. Step 4: Style to your liking. If you usually tuck your jeans into your boot, try it now. If you’re more of a bootcut regular, check to see if you like the way the boot fits under your jeans. Step 5: Once the boots are on, there should be just enough room for your toes to move slightly. Walk around. How do they feel? You should feel a certain snugness that also provides room for comfort. Now you’re ready to find the perfect pair of boots for your feet. 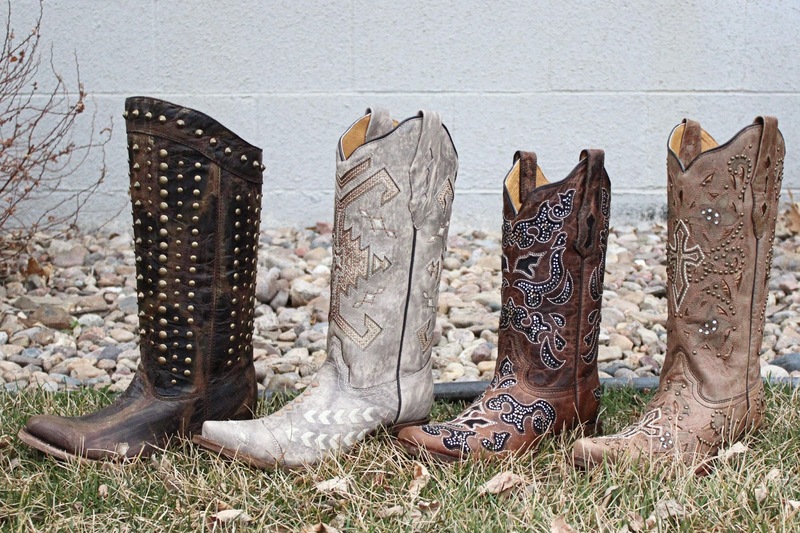 Head into your local Buckle store or visit Buckle.com to check out our exclusive boot collection. Boot experts, what are we missing? Comment below with any other boot tips you’ve found along the way!